M-government is an important new field of research driven by the power of social media and the use of mobile devices, the most rapidly adopted technology in history due to their personalization, ease of use, and their wider reach. User-related contextual information empowers citizens to resolve problems and to participate in the decision-making process by simplifying access to e-services quickly and efficiently. While user interactions with mobile devices in the real world usually occur in context-rich environments with significant limitations and environmental disturbances, many mobile applications are designed as though they will be used in traditional desktop settings. However, this approach does not take into consideration nature of the interactions of users with mobile devices. Research in the relatively new field of context awareness and designing mobile user interfaces concentrates on system-level development or context recognition, while human–computer interaction and usability issues have only rarely been investigated. 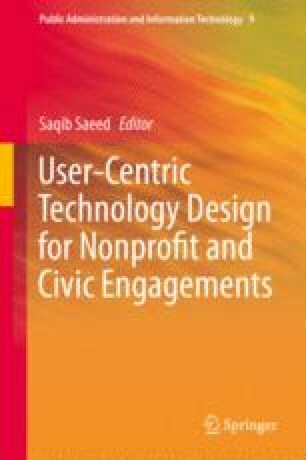 The objective of this chapter is to identify issues and raise awareness of potential challenges that user-interface designers need to consider while adapting the content of municipality and city e-government services and applications to the context-aware interactions of citizens with mobile devices. This chapter concludes with context-oriented best practice m-government guidelines that need to be considered when adopting applications, which would help city governments in the delivery of more efficient e-services to mobile citizens.